Fine Dining Restaurants are those special places that are well above standard in their food, arrangement and atmosphere. Although these Branson restaurants will be listed in other categories it is our desire to point out those places that will make a unique and exceptional evening. Spending an evening at one of Branson's Finest Restaurants is always a nice break from the norm. Spend an evening with a special person or special friends and enjoy the pleasantness of a casual and unhurried meal of fine cuisine and good conversation. You'll find Fine Dining overlooking one of the beautiful lakes, overlooking the city or right in the midst of the Branson Strip. 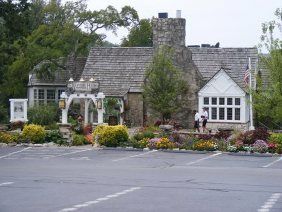 These are special places among the restaurants in Branson, Missouri.